We are providing Security Metal Detectors to our Clients. 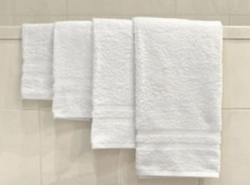 We offer our buyers a wide assortment of Hand Towel. - Ferrous, Non-Ferrous metals, weapons etc. - High sensitivity-detects 0.1gm metal of Ferrous, Non-ferrous & ferrite. - Sharp Audio on metal detection. - Visual indication for – ON, Metal, Low battery & Charge. - Dual Power – 9V Rechargeable Battery & 9V Dry Cell. 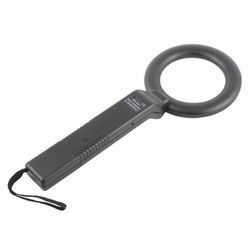 Our customer can avail from us Hand Held Metal Detectors that is available in various models and sizes along with different specifications. These detectors are manufactured using high-grade raw material, which is obtained from the reliable and certified vendors of the market. - Detects quantities of gold, silver, platinum, brass, copper, mild stainless steel are detected effectively. We are leading exporter of Hand Held Metal Detectors. A metal detector is a device which responds to metal that may not be readily apparent. - Lowest False Alarm Rates.